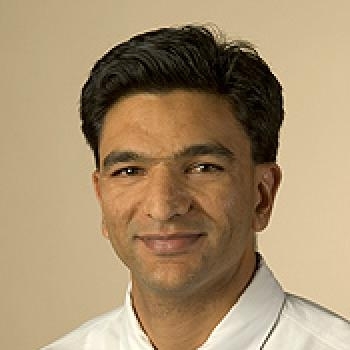 Vivek Bhalla is an Assistant Professor in the Division of Nephrology within the Department of Medicine at Stanford University. We study intracellular signaling mechanisms in glomeruli and principal cells of the kidney. We use transgenic mouse models, primary cell culture, and biochemical approaches to test our hypotheses. Dr. Bhalla's research interests are in the pathogenesis of diabetic kidney disease and salt-sensitive hypertension. The laboratory is interested in elucidating regulators of inflammation in diabetic glomeruli. We interface these studies with collaborative projects on biomarkers for human diabetic nephropathy. We also study the mechanisms of aberrant sodium handling in the setting of obesity and insulin resistance. We use molecular and transgenic approaches to address our research questions.